Rather than using animation to create short films, I am concerned with expanding animation out of the screen and out of conventional thinking by deconstructing accepted ideas about animation and digital technology. I mean to do this both conceptually and in terms of my practice. Combining drawing, animation, video and live performance, my work explores animism: the vital spark of movement that brings the still and lifeless into motion. I am also interested in how the movements we make - our gestures and actions - lead us to construct our identity: in particular how we perform our gender identity. I have coined the term ‘post-animation’ to describe my practice, because it does not usually take the form of a film, rather applies what I call 'animation thinking' to a mixture of other disciplines. These interests have taken many forms including still drawings with animations projected over them or performances in which I become possessed by a cartoon character or channel digital doubles and raise electric spirits. In my more recent work, I have been moving away from working purely with computers and experimenting more with drawing, silhouettes, shadows, performance and sequential images. In the projects I do, I create work both as an individual practitioner and also in collaboration with other artists, performers and specialists. I enjoy working with others in interdisciplinary collaborations and am always interested in challenging myself. For example, at the moment, I am currently co-writing Performance Drawing: New Practices Since the 1960s for Bloomsbury Press with Maryclare Foa, Jane Grisewood and Carali McCall. Birgitta Hosea is a Swedish/Scottish artist, animated filmmaker and curator who works in the field of expanded animation. She was born in Edinburgh and now lives and works in London. She received a PhD from Central Saint Martins, University of the Arts London; an MA from Sir John Cass School of Art, London Guildhall University and attended Glasgow School of Art. Most recent exhibitions include Hanmi Gallery, Seoul; Venice Biennale; Karachi Biennale; InspiralLondon; Chengdu Museum of Contemporary Art; Holland Animated Film Festival and her work is included in the Tate Britain and Centre d’Arte Contemporain archives. 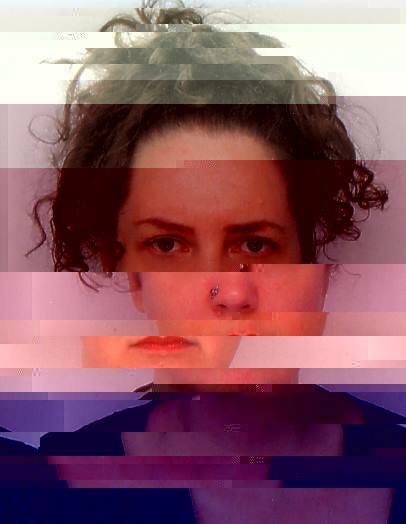 Working with digital arts since 1995, she was awarded a MAMA Award for Holographic Arts (2009), an Adobe Impact Award (2010), has been the recipient of numerous international artists' residencies and her work is included in the Tate Britain and Centre d’Arte Contemporain archives. Birgitta also curates and writes about moving image. Currently, she is Reader in Moving Image at the University for the Creative Art's Animation Research Centre and Visiting Professor for Chengdu University’s Sichuan Animation Research Centre. In 2017, she co-curated Boundary Crossings with artist Rose Bond at PNCA, Portland, Oregon. Her most recent academic publications have been concerned with drawing, materiality, post-cyberfeminism and site-specific modes of spectatorship. With a range of experience in education from PhD supervision to corporate software training, previously she was Head of Animation at the Royal College of Art and prior to that Course Director of MA Character Animation at Central Saint Martins in London and has taught in many of the leading educational establishments in the UK, Azerbaijan, USA, China, Holland, Romania, Austria and Sweden. She has also worked in art direction, design for performance, web design, animation and as a Demonstration Artist for Adobe. Her blog is at http://expandedanimation.net. 2012 PhD, Central Saint Martins, University of the Arts London, title: “Substitutive bodies and constructed actors: a practice-based investigation of animation as performance”. Download PhD thesis from UAL Research Repository.